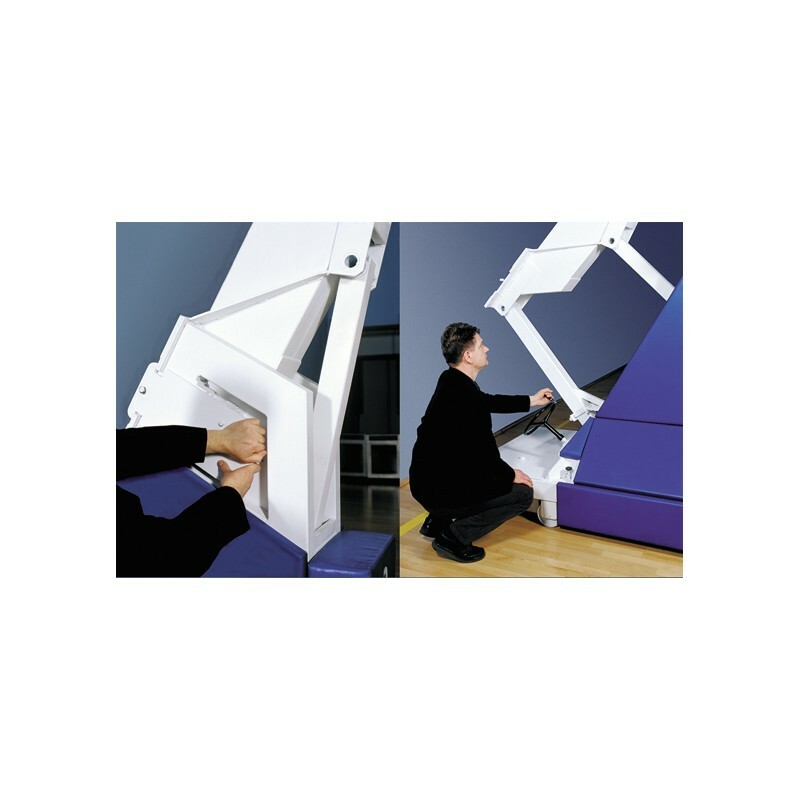 Extension Arm - 325 cm. Manual operation (screw- crank mechanism), doesn’t require any electric supply to operate. Closing buckles stiffen the unit in playing position so that stand is very stiff even during- aggressive game. Very compact size in storage - 1835 x 4850 mm, 1940 mm height. Glass backboard - 180 x 105 cm made of 10 mm tempered glass; set in aluminium extruded framing, official border and target area are fired into the glass. The glass of this backboard is cut so that the goal attaches directly the mounting bracket without any contact with the glass – any load on the rim will therefore not affect the glass, but will be transmitted onto the construction of the unit. This backboard is designed for use on three point support attachments. Flex Goal EN-1270 tested, meets all requirements specified by FIBA, positive lock system secures the goal in blocked position up to 80 kg load, safe net attachment to prevent finger injuries, futuristic slim-line design helps develop better shooting skills, comes with anti-whip net.